A great city of vibrant nightlife, magnificent historical monuments, stunning architecture and world-famous museums. It is one of the greenest and happiest cities in the world. 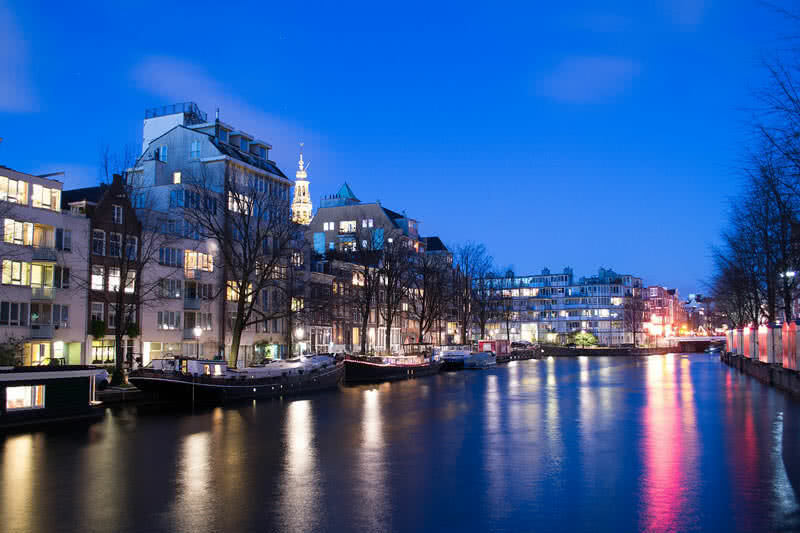 Amsterdam has more than 6000 historical sites. Anne Frank Museum, Concertgebouw hall, Museumplein and Ziggodome are the most famous historical sites in Amsterdam. This fantastic city has more than 100 kilometers of Canals dug back in the 17th century. There are about 90 Islands and also more than 1600 bridges. The canal cruise the most popular tourist activity in Amsterdam. There are around 200 boats to take you out for a fantastic ride around the city. Home to only floating flower market in the world. The flower stalls usually displayed on boats. You can find a wide variety of tulips and geranium flowers here. Perhaps the most beautiful state in the United States. The holy land of beautiful beaches, famous National Parks, rugged mountains and spectacular lakes. California has 840 miles long beautiful coastline. The Highway 1 or California State route 1 goes alongside this scenic coastline. A ride along this route will bring a breathtaking view of the Pacific Ocean. Throughout the year, California has a pleasant sunny climate. It is also home to many world-famous National Parks including death valley, Yosemite, Sequoia and kings canyon national park, Joshua tree national park and redwood national park. 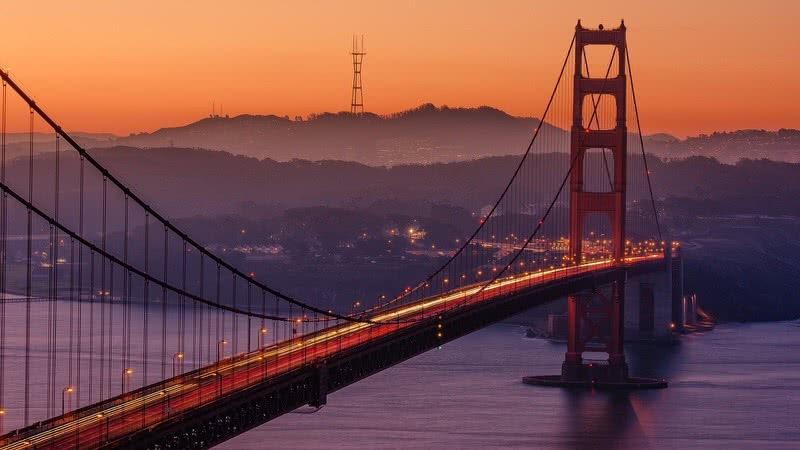 The San Francisco city of California is one of greenest cities in the world. They also have a mission to make the city carbon neutral by 2020. The world famous attractions like Disneyland, Universal Studios Hollywood and Golden gate bridge are also located in the California State. Witness millions of migrating wildebeest accompanied by hundreds of thousands of zebras. 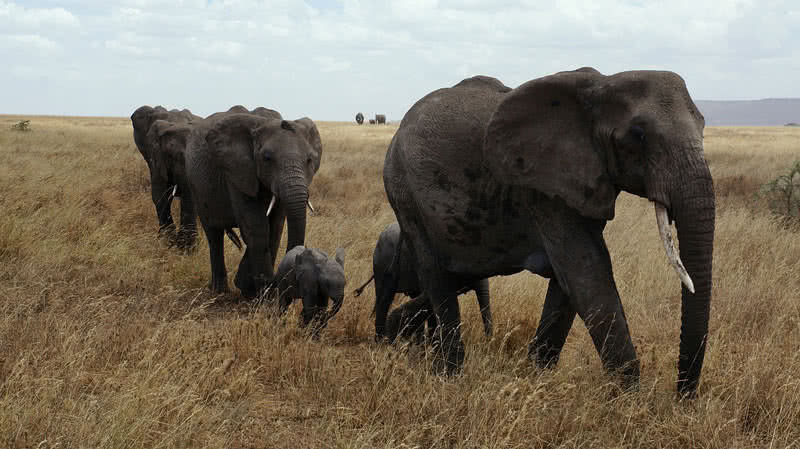 It is the most massive terrestrial mammal migration in the world. The most impressive stage of migration in Serengeti can bet witnessed between May and June. Serengeti National Park spread across a vast area of 5700 square miles. With fantastic diversity of wildlife, it is the most popular Safari destination in Africa. It is home to 500 different species of birds, rare species of cheetahs and lizards and many large mammal species. You can witness stunning Sunsets over the plains of this National Park! No visit to China becomes complete without Li River cruise. It is a 52-mile long cruise from Guilin to Yangshuo. Trip showcases many attractions including spectacular cone-shaped peaks, rolling hills, bamboo groves, caves, gorgeous valleys, and beautiful villages. The Li River has featured in many paintings, poems and other artworks. 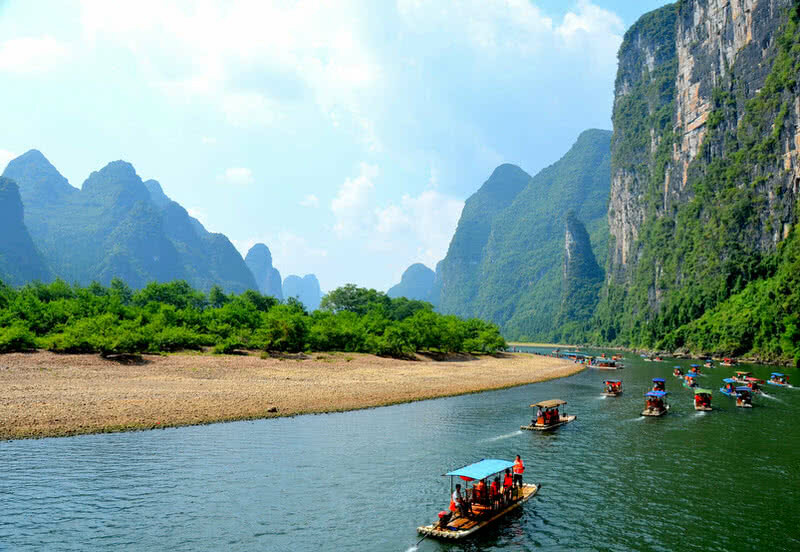 July to October is the best time to visit the Li River. During this period, you can enjoy a pleasant sunny weather. This marvelous city is home to world famous Christ the Redeemer statue, one of the seven wonders of the world. Probably the beach city in South America. The shoreline of the town stretches over 25 miles. The Copacabana beach is the most famous beach in Rio De Janeiro. The New Year Event at this beach is very memorable, and it attracts millions of visitors. World’s largest urban forest, the Tijuca forest is located within Tijuca National Park of Rio De Janeiro. The Sugar Loaf mountain in Rio De Janeiro is one of the best rock climbing destinations in the world. There is also cable car services to reach the summit of this 1955 feet high mountain. 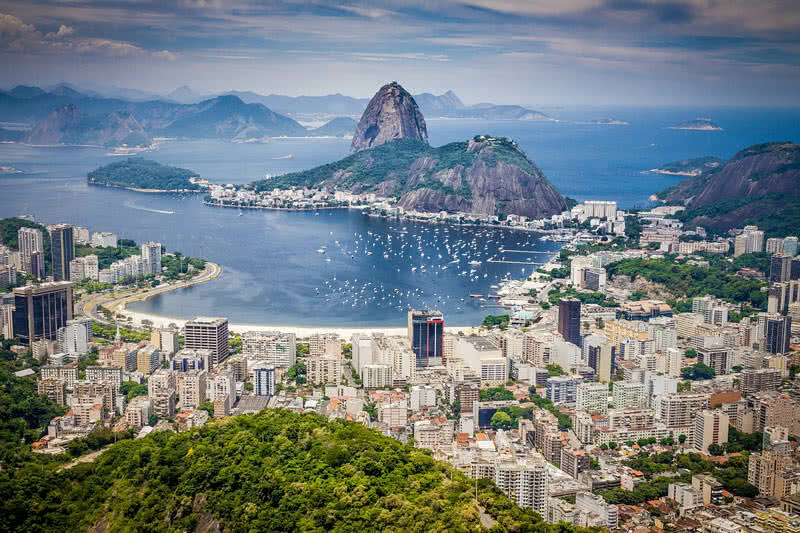 From the top, you can enjoy a breathtaking view of Rio De Janeiro. Rio De Janeiro carnival is the biggest carnival in the world. This four-day carnival held 40 days before Easter every year. The Samba dance, the famous Brazilian dance is the main attraction of this festival. With golden sands and clear blue waters, the Navagio beach is one of most beautiful Greek beaches that located in the Zakynthos Island. This stunning beach can be reached only by boats. There is a wreck of a ship called Panagiotis at this beach. It is said to be a smuggler’s ship. Thus, this beach also called shipwreck beach or smuggler’s cove. 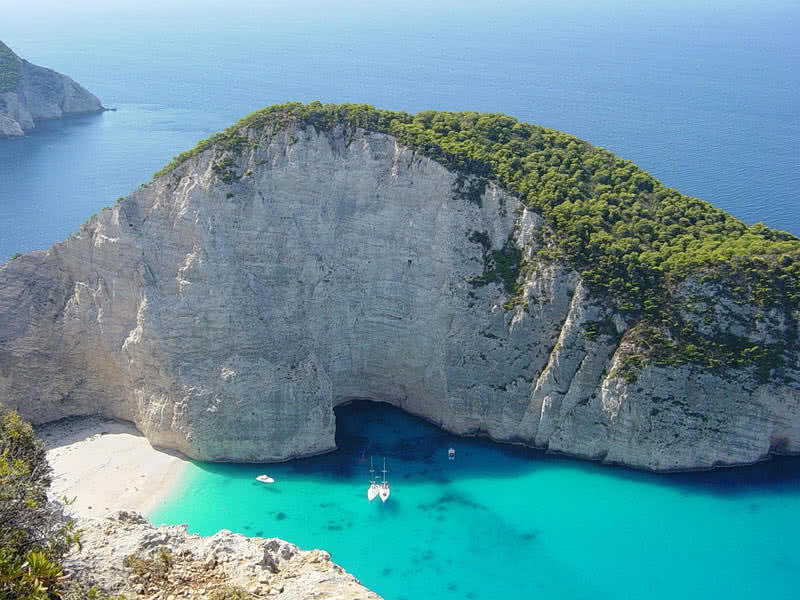 The stunningly beautiful Navagio beach is also one of the most photographed places in Greece. In addition to the beautiful beaches, the Island of Zakynthos also known for its amazing underwater caves. One of the most beautiful and holiest lakes in the world. Located in Western Tibet at an altitude of 4590 meters above sea level. It is an excellent attraction during your visit to sacred Mount Kailash, which is only a 29.57 miles from Lake Manasarovar. The lake Manasarovar is relatively round in shape and covers an area of 123.5 square miles. The view of this lake in the backdrop of Mount Kailash is merely stunning. 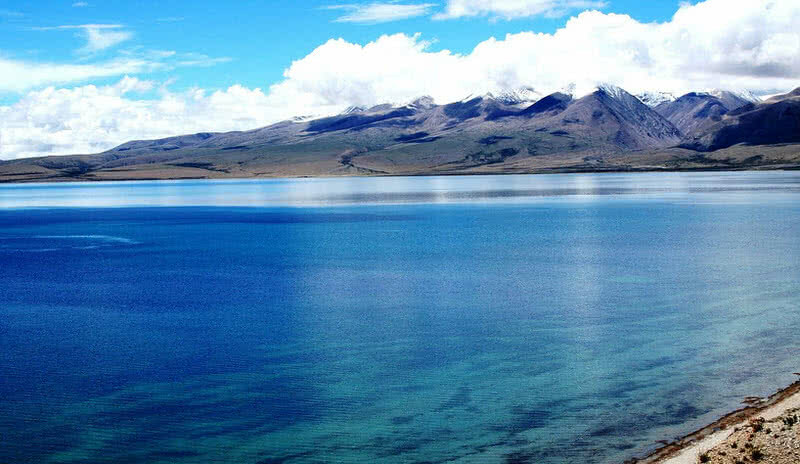 The waters of Lake Manasarovar are deep green at the center and blue at the shores. You can even see the mirror-like reflection of the surrounding peaks as the waters of this lake is so bright and calm. In addition to the breathtaking view of surrounding Himalayan peaks, a dip in the holy waters of Lake Manasarovar will be an unforgettable experience for you! The most popular and beautiful Island in Indonesia. This tropical Island is renowned worldwide for its iconic rice fields, dramatic volcanoes, beautiful beaches, mystical temples, stunning cliffs, and coral reefs. The local people in Bali are one of the friendliest people in the world. 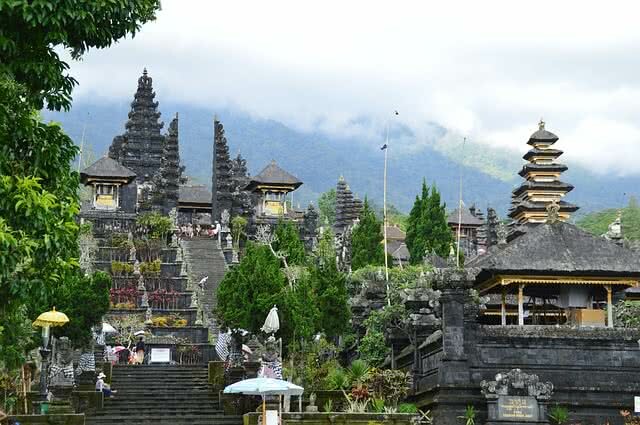 Bali is home to many ancient temples. The centuries-old architecture and settings of these temples are just stunning. Also, you can enjoy some fantastic ceremonies and festivals here. The pristine white sand beaches are the main factor that makes Bali as one of the main tourist destinations in Asia. To your surprise, this Indonesian paradise also boasts some fantastic black sand beaches. A land of breathtaking natural attractions including dramatic sea cliffs, tropical forests, volcanoes, sacred caves, rice paddies and spectacular beaches. It is a stretch of five scenic villages at the Italian Riviera coastline. 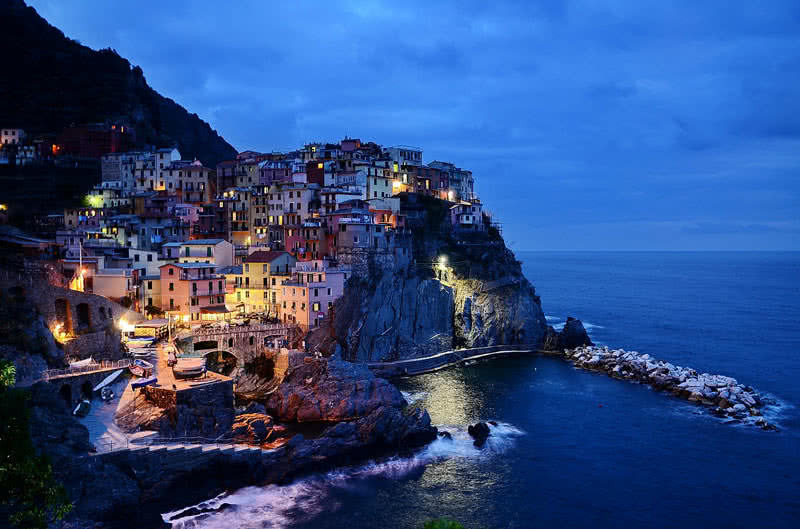 The name ‘Cinque Terre’ means the ‘Five Lands’ – Riomaggiore, Manarola, Corniglia, Vernazza, and Monterosso are those villages. Definitely one of the most amazing coastal scenery in the world. A network of multi-colored houses built on the cliffside by the local people over centuries. From the sea, it looks like a surreal place. There are some of best hiking trails in the world — all five villages connected by a beautiful, walking trail along the coast called Sentiero Azzuro. This trail will bring the magnificent view of the colorful villages of Cinque Terre and its coastline. There are also ferry services to commute from one community to the other. The beaches in Cinque Terre are calm and beautiful. Will offer a great swimming, snorkeling and diving experience for the visitors. Kauai is the most beautiful and greenish Hawaiian Island. It is one of undeveloped part of Hawaii. Thus, the Kauai offers a calm and quiet environment and many attractions including pristine, white sandy beaches, lush forests, and beautiful mountains. It is one of the best sunset spots in the United States. Kauai has 50 miles long white, sandy beaches which are best for snorkeling, swimming, diving and sunbathing. The 2 miles long Hanalei bay on the North Shore is the largest and most popular beach in Kauai. It’s an excellent place for surfing, sailing, bodyboarding, and paddling. The Waimea canyon located on the Western side of the Island known as ‘Grand Canyon of the Pacific.’ This stunning canyon is almost 10 miles long and 900 meters deep. 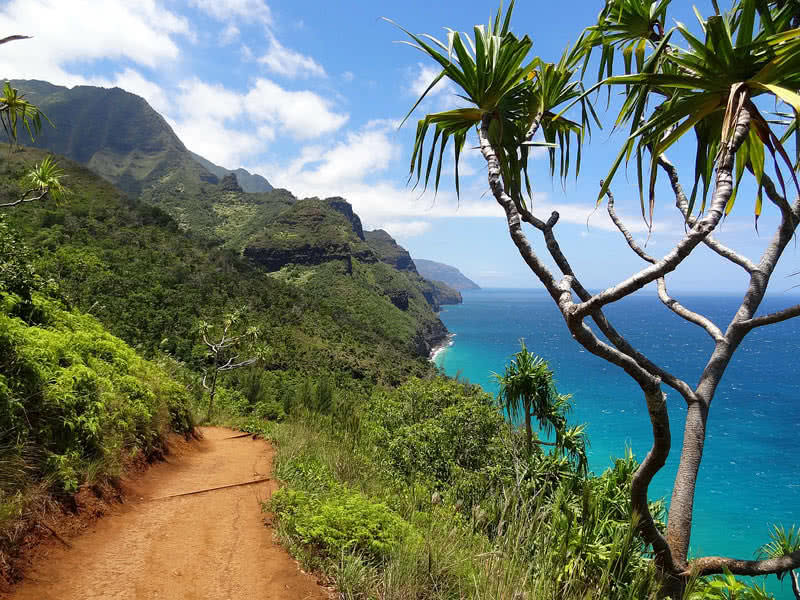 The Koke’e State Park on the Northwestern part of Kauai includes scenic cliffs, beautiful wildflowers, forest, endemic Hawaiian birds and 45 miles of hiking trails. The great Himalayan range is a paradise for both travelers and adventure seekers by being home to 14 highest mountains in the world. 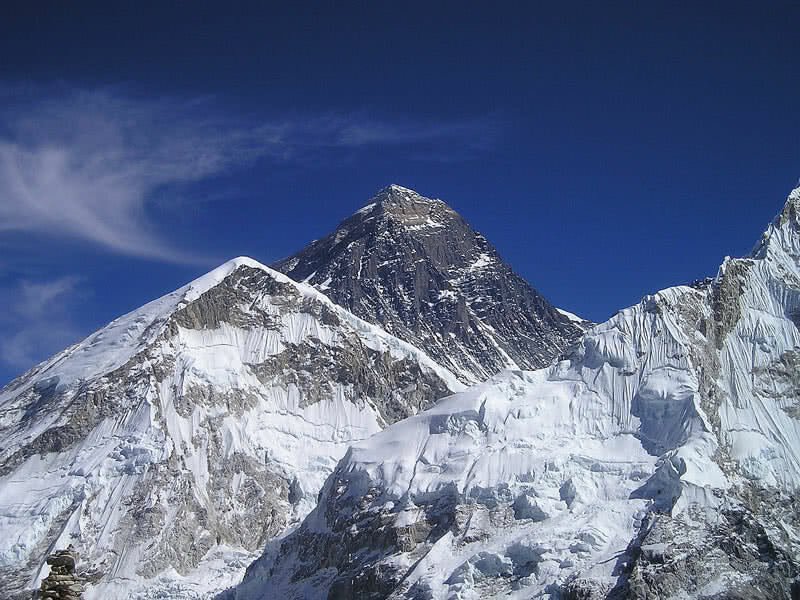 At 8848 meters, the Mount Everest in the Himalayas is the highest mountain in the world. More than 100 peaks in this range also rise over 7200 meters. Trekking is the most popular tourist activity in the Himalayan range. The Himalayan range is home to hundreds of rare species of animals. It provides with a stunning view of Sunrises and Sunsets over snowcapped mountains. You can camp high up in the mountains. In such a place, you would feel real peace and magic of nature. The Himalayan range is one of the best stargazing spots in the world. With less pollution, the sky in the Himalayan range is very clear. Thus, you can see countless stars throughout the night. 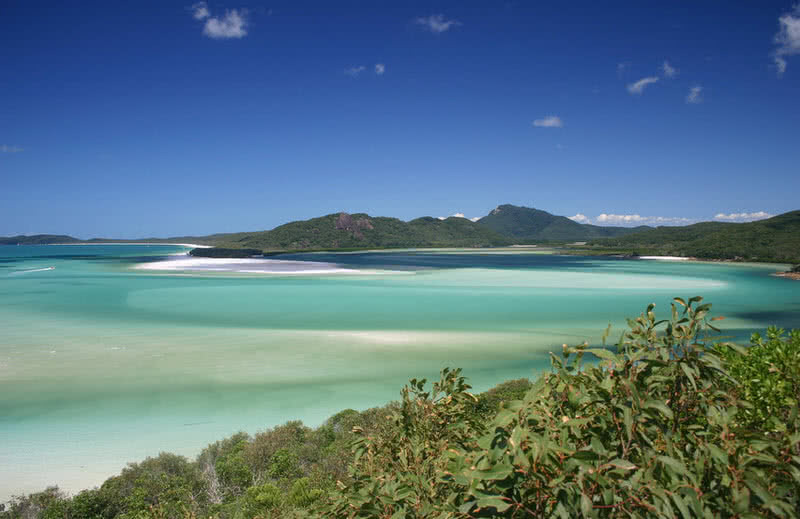 Undoubtedly the Whitehaven beach in Whitsunday Island is the most beautiful beach in Australia. This 4.3-mile long beach is famous among international tourists for its clear aqua waters and pristine silica sand. The silica sand found in the Whitehaven beach is a high purity form of sand. Thus, the perfect mix of pure-white colored sand and blue waters give an incredible look to this beach. The surreal looking Whitehaven beach is the most photographed beach in Australia. There is a beautiful inlet at the Northern part of Whitehaven beach called Hill inlet where you can enjoy the magical blending of pure, white sand with aqua waters. Bagan is among the most impressive archaeological sites in the world. It is also the main tourist attraction in Myanmar. Between 11th and 13th centuries, more than 10000 Buddhist temples and pagodas built by the kings of Bagan in this site. Some of 2230 of them remain today. Bagan is a World Heritage Site. Most of remaining temples and pagodas in this place are well preserved. The archaeological site of Bagan covers an area of 26 square miles. Walking is the best way to explore this great archaeological site. 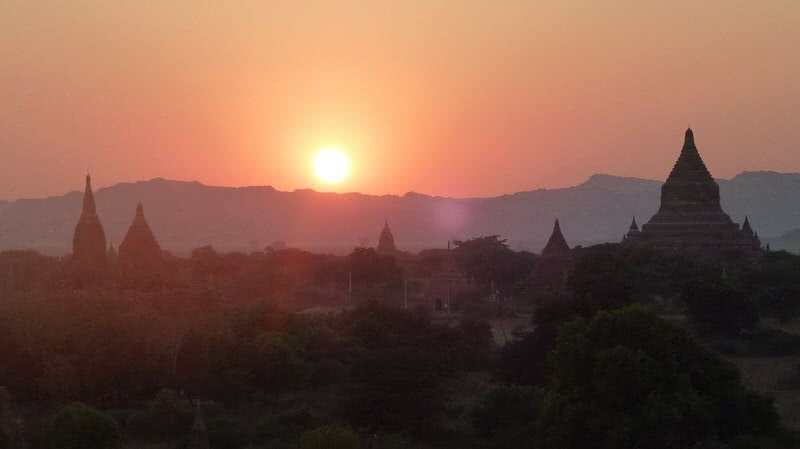 There is also a hot-balloon service that offers an unbelievable view of Bagan. Galapagos is an archipelago of volcanic Islands in the Pacific Ocean. It is one of the most famous wildlife destinations in the world. Galapagos is a unique place where three main ocean currents are converged. Galapagos Islands can be visited year around. You can find unique flora and fauna, fantastic lava formations, lush green forests, and tropical beaches. 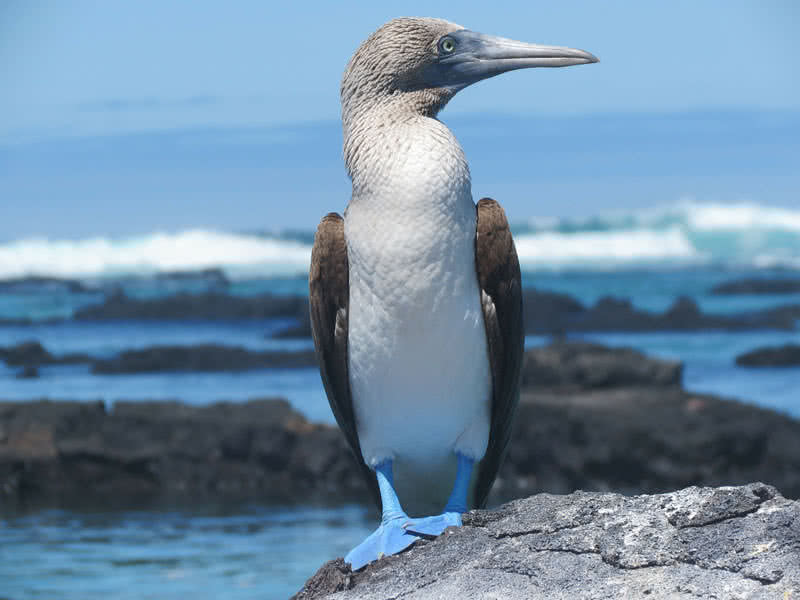 As a result of uniqueness and remoteness, the Galapagos is home to a large number of endemic species. The wildlife in the unique Islands of Galapagos is extremely tame due to the lack of natural predators. Marine iguana, Galapagos fur seal, Galapagos penguin, flightless cormorant, and Galapagos tortoise are some of the fantastic endemic animals of Galapagos. The Galapagos tortoise is the most famous species of this archipelago. With a length between 4-5 feet and weigh up to 320 kilograms, it is the largest land animal of Galapagos. They have a lifespan over 100 years. Galapagos Island also has a rich history. The famous English Naturalist Charles Darwin visited this Island in 1835. Many species of Galapagos featured on his book ‘The origin of species’ that published in 1859. Madagascar is one of most beautiful Islands in the world, located in the Indian Ocean. Amazing biodiversity itself is the main attraction of Madagascar Island. The 70% of 250000 species of animals and 90% of 14000 species of plants are found nowhere else in the world. The Toliara coral reef, the third largest coral reef in the world locates in the Madagascar Island. 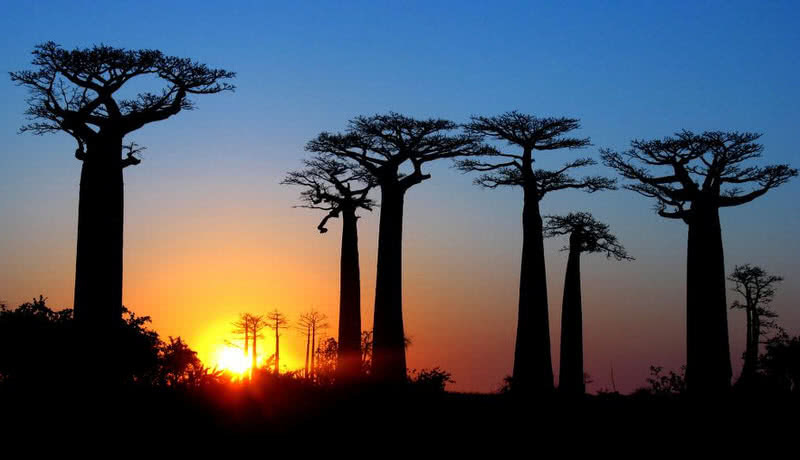 The Avenue of Baobabs in the Menabe region of the country is s surreal looking place in the world. It is a group of strange looking baobab trees lining the road between Morondava and Belon’i Tsiribihina regions. The amazing Baobabs tree also known as the upside-down tree because without leaves its branches resemble the roots sticking up in the air. The Tsingy de Bemaraha in Southern Madagascar is the largest nature preserve in the Island. The incredibly sharp, needle-shaped limestone formations are the main attraction of this nature preserve. It is indeed one of the most impressive geological formations in the world. Madagascar is also home to a number of beautiful beaches that are perfect for diving and snorkeling. The fastest growing desert city in the world. It is indeed a global hub for tourism and business. It is home to the mighty Burj Khalifa – the tallest skyscraper in the world. This 211 story building rises 830 meters in height. With over 148 skyscrapers, the city has one of the tallest and most beautiful skylines. 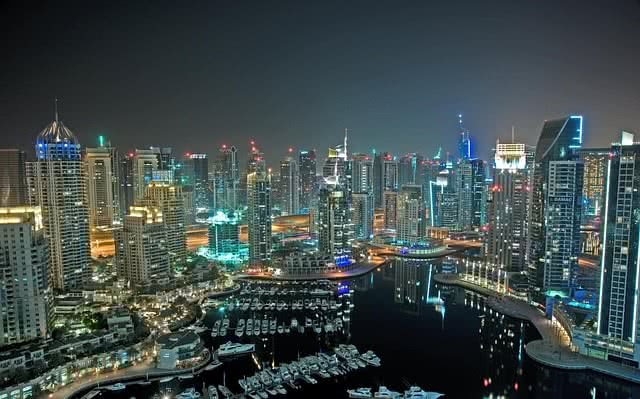 Dubai is one of the most popular retail destinations in the world. The city has the largest mall (Dubai mall) in the world. The Dubai shopping festival also attracts more than 30 million visitors every year. The city has hundreds of miles of coastline. It consists of three amazing artificial Islands – The world, Palm Jumeirah and Palm Jebel Ali. With many star hotels, resorts and residences, the Palm Jumeirah is the largest artificial Island in the world. With elaborate firework displays, Dubai is one of the best places to see the New Year Celebration. With the remote location and scenic landscapes, the Ladakh region is one of the surreal looking places in India. It is a beautiful highland that nestled between the great Himalayas and Karakoram mountain ranges. The glaciers, lush green valleys, spectacular lakes and rivers of Ladakh will leave you breathless! The magnetic hill in the Leh-Srinagar highway is one of the main attractions in Ladakh. Due to the optical illusion, you could see the running of vehicles up against a steep hill even after turned the ignition off. At an elevation of 17582 feet, the Khardung La pass in Ladakh is one of the highest motorable roads in the world. Thus, Ladakh is indeed a paradise of bikers. 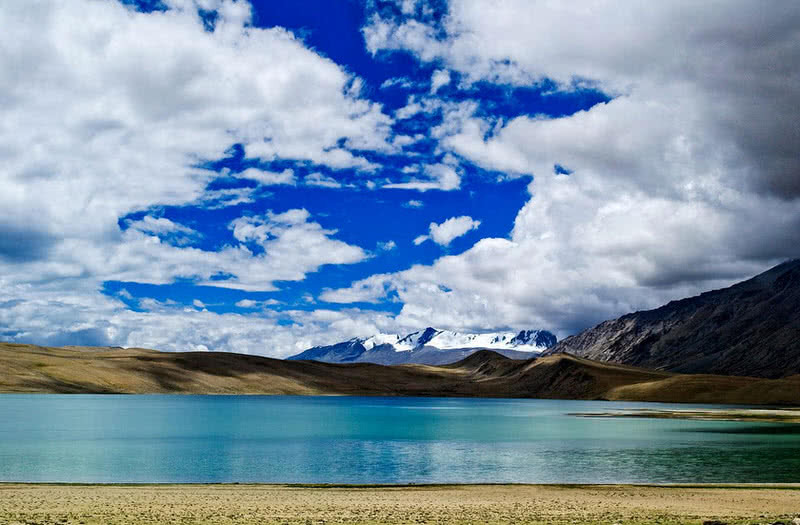 There are many unbelievably beautiful lakes in Ladakh. The Pangong Tso lake in the Southeast of Leh city is the most famous lake of Ladakh. The water of this spectacular lake display different shades of blue, green and red in a different period. The Nubra valley in Ladakh is among the most beautiful valleys in the world. It is also known as Moon land because in winter this beautiful valley resembles the landscape of Moon. This valley is famous for its steep hills, dunes, monasteries, and scenic villages. With the pristine beaches, great backwaters, majestic mountains, rich wildlife, and amazing festivals, Kerala is truly a paradise on Earth. The spectacular backwaters are the main characteristic that makes Kerala so unique among the Indian States. It is a vast network of lagoons, canals, lakes, and rivers. 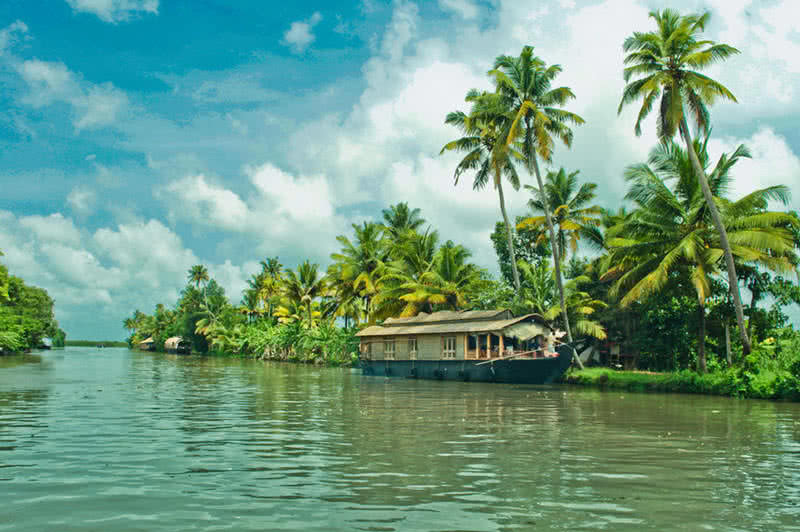 The backwater cruise in ‘Kettuvallams’ (houseboats) is one of the most popular tourist activity in Kerala. Ashtamudi lake and Alleppey are the most beautiful parts of Kerala Backwaters. The highlands in the Western Ghats range of Kerala is a paradise for both adventure seekers and nature lovers. Wayanad, Munnar, Idukki, Palakkad, and Mattupetty are some of most scenic hill stations in Kerala. The high ranges of Kerala are also home to some of the unique species of flora and fauna. Kerala is a land of gorgeous waterfalls. The Athirapally falls in Thrissur district is the largest and most famous waterfalls in Kerala. Because of the beauty, this stunning waterfalls is renowned as the ‘Niagara of India.’ Vazhachal, Soochipara, Palaruvi, and Thusharagiri are other beautiful waterfalls in Kerala. Kerala has 366 miles long coastline with some beautiful, well-known beaches. With long stretches of sands, swaying palm trees and multi-colored sea shells, Kerala beaches are definitely among the top beaches of India. Kovalam, Varkala, Marani, Bekal, and Cherai are the most beautiful beaches in Kerala. The dazzling death valley located in Eastern California is the driest and hottest area in North America. At 86 meters below sea level, The Badwater basin in the death valley is the lowest region in North America. The dirt trails of Death Valley National Park stretches over 750 miles, more than any other National Park in the world. A drive along these trails will offer an unbelievable view of surrounding landscapes. The sandstones of Death Valley National Park is over 170 million years old. Throughout the Dead Valley, you can see a dramatic change in the landscape. Thus, it is indeed a geological wonder on Earth. The limestone formations of this park are just stunning. 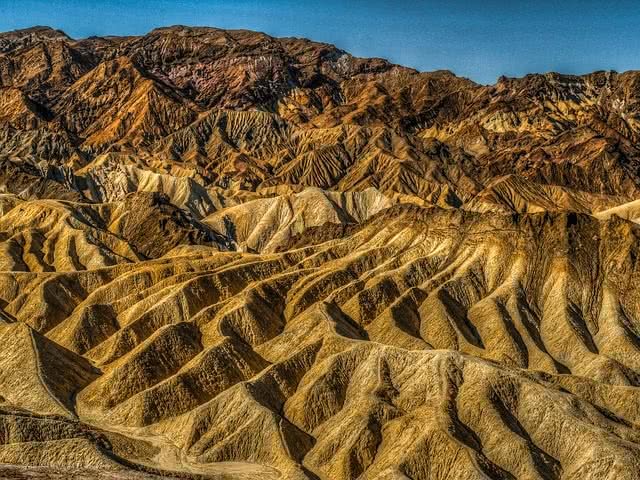 The 700 feet high Striped Butte is the most popular limestone formation in the Death Valley. It is one of the best spot in the United States for stargazing. 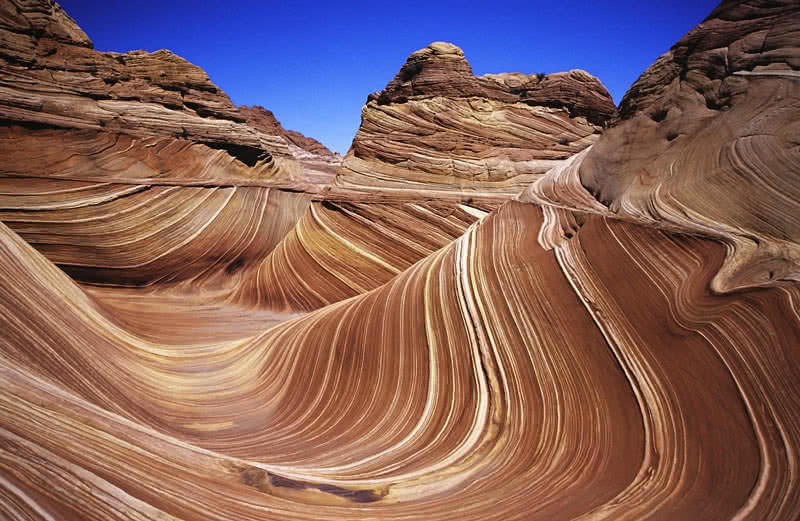 It is an impressive sandstone rock formation near Arizona-Utah border. The wave is renowned worldwide for its intersecting shapes and brilliant brand of color. With the unique wave-like shape and striking spectrum of color, this rock formation is a paradise for both photographers and hikers. Shaped by the forces of nature over millions of years. The wave displays different colors depending on the intensity of light hit by it.